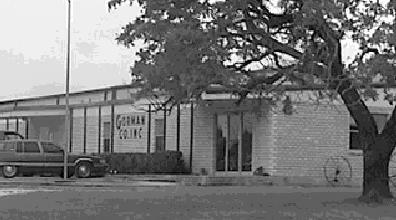 Gorman Co., Inc. was organized in 1963 by Gerald W. Gorman, who had been in all types of mechanical seal and packing manufacturing for approximately 18 years. 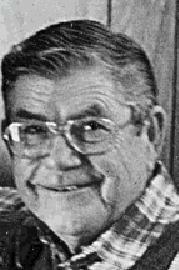 Operations were started with staff members who brought a combined experience of six decades in the manufacture of hydraulic seals. Now, nearing our fourth decade of operations, we are still committed to providing all of our customers with quality products and excellent service from our 85 years of combined experience in management. For any seal or packing design, Gorman Co., Inc. has complete tooling facilities to make the dies and presses to mold the products, giving the manufacturer a turn-key job from design to delivery in a range of sizes up to 45” in diameter. Gorman Co., Inc. is proud to be a manufacturer of quality sealing devices. We are pleased to serve many customers all across the United States of America and Canada, as well as from many other international locations as well. Gorman Co., Inc. seals are now being supplied to Original Equipment Manufacturers in the following fields: Hydraulic Freight and Passenger Elevators, Material Handling Equipment (ex. forklifts), Refuse Handling Equipment, Hydraulic Boring Machines, Trenching Machines, Earth Moving Equipment, Automotive, Hydraulic Cylinder Manufacturers, and Motorcycles (ex. fork seals). Seals for Original Equipment Mfgs. The seal groove had to be at least .030” longer than the seal itself for a completely non-adjustable seal. The lips – both I.D. and O.D. – required molded interference. Molded diagonal ribs inside the seal to provide internal spring action requiring no gland pressure for both static and dynamic sealing. Pressure Balanced Seals have the following advantages as the name implies: The hydraulic forced are controlled in the seal cavity by metering enough fluid pressure to the internal part of the seal, to counter-balance the hydraulic forces crushing on the seal itself. This provides low breakaway friction and eliminates seal extrusion on normal clearance between back-up and cylinder rod or piston and cylinder. This seal passes the laboratory and proving ground test of a major automobile manufacturer. In comparing the Pressure Balanced Seals with a conventional O-ring seal, the breakaway friction is less. At 2000 p.s.i., the O-ring had approximately 28 lbs. break-away friction and the Gorman Pressure Balanced Seal had 18 lbs. of break-away friction. The fore-going design features molded into the highest quality materials available result in Gorman Pressure Balanced Seals giving maximum service and long life. As we continue our commitment to quality and friendly service, we now offer a new G+ sealing material for hydraulic packing, offering longer life and improved control of low speed vibration.